It is hard to know how the current phase of the war will end. If all goes according to Condoleezza Rice's plan, the UN Security Council will vote today on the draft cease-fire resolution negotiated between the US and France. Whatever marginal diplomatic gains the Olmert government may try to convince the public the draft resolution contains for Israel, the fact is that regardless of the language eventually adopted, and whatever force of French, Egyptian, Turkish, Italian and German soldiers will or will not be deployed to Lebanon, all any cease-fire resolution will do is ensure that there will be another round of war. This is the case because none of the moves being considered involve the one action that would prevent the next war. That action is an Israeli victory against Hizbullah in Lebanon, and an Israeli and allied strike against Hizbullah's state sponsors Syria and Iran, which promote Hizbullah's wanton aggression against Israel as a central campaign in their global jihad aimed at annihilating the Jewish state and defeating Western civilization. In the hours that followed Hizbullah's massive missile barrage against Israel Sunday, which left 15 dead and more than 150 wounded, many voices expressed the hope and expectation that Prime Minister Ehud Olmert and the IDF General Staff would finally approve a military campaign aimed at destroying Hizbullah's capacity to attack Israel. It was anticipated that they would finally authorize the IDF's plan to advance ground forces to the Litani River and take the necessary measures in Tyre, Sidon and other cities to wipe out Hizbullah's capacity to launch missiles against Israel. But Olmert would have none of it. In the aftermath of the carnage in Kfar Giladi and Haifa, he continued to maintain that Israel had already won the war, and that the best way to end the conflict was to accept a Security Council resolution that would enable Hizbullah – the advance guard of the Iranian army of jihad – not only to survive as a fighting force, but to declare victory against Israel. OLMERT TODAY devotes his attention not to addressing the question of how Israel can win this war, but rather to how he can convince the Israeli public that he is not a failure. And he is not alone. Over the past week or so the main push of the Olmert government, the IDF General Staff and the left-wing establishment in Israel has been to prepare the public to accept their version of events. All three groups have their own specific agenda. But their goal – maintaining their power and evading accountability for their leadership failures – is a shared one. Olmert and his colleagues are pushing three ideas to advance their claims of competence. First, they claim that Israel has already won the war. They back up this claim by pretending that the draft UN Security Council resolution is a success, and that a multinational force will protect us. Second, they pretend that the Palestinian jihad against Israel is unrelated to the Lebanese jihad against Israel and that, as a result, their plan to transfer control over Judea and Samaria to the Palestinians remains sound. To this end they continue to support Palestinian Authority leader Mahmoud Abbas even as he openly praises Hizbullah and his own security forces participate in terrorist attacks against Israelis. Moreover, they ignore the fact that Hizbullah terrorist-in-chief Hassan Nasrallah is the most popular figure in Palestinian society. Finally, by preventing the ground offensive that all those IDF reserve divisions were called up to execute, they continue to pretend that the control of territory is unnecessary for national defense. After all, what is an air-based strategy other than a way to convince the public that wars can be won without land? THE ONLY way Israel can beat Hizbullah is by conquering enough Lebanese territory to take Israeli territory out of missile range and holding that territory long enough to kill the Hizbullah operatives launching the attacks and destroy their arsenals. Yet today ground operations center on retaking the former security zone – a tiny foothold, control of which makes no impact on Hizbullah's continued ability to rain missiles on sovereign Israeli territory and render a quarter of the population internal refugees or relegated to hiding in bomb shelters for weeks upon weeks. And the message is clear: Since the ground campaign has been unsuccessful in stopping the onslaught, control of territory is not a guarantee of defense and can therefore continue to be surrendered. As for the IDF, its narrative was best enunciated by OC Intelligence Maj.-Gen. Amos Yadlin at the cabinet meeting on Sunday. After impressing the impressionable ministers and media with data on the number of bombing sorties and the number of Hizbullah missile launchers destroyed, Yadlin presented the IDF's case for victory. He claimed that Nasrallah has gone from being perceived as the hero of the Arab world to being seen as the destroyer of Lebanon. According to Yadlin, all Hizbullah has going for it is now is Syrian and Iranian support and a whole mess of missiles. In so arguing, Yadlin conveniently ignored the fact that pro-Hizbullah rallies are being attended by millions throughout not just the Muslim world, but in the West as well. The war in Lebanon has led senior Egyptian figures to call for the abrogation of the peace treaty with Israel; to the galvanizing of support for jihad in Iraq and, indeed, throughout the world; and to the scapegoating of Israel again by Western leftists as the aggressor in the conflict. For their part, the leftist pontificators in the media, supported by their fellow travelers in Israeli academia, who together took control over the public debate a generation ago, are continuing their advance. These people, who forced the public to replace inquiry with intellectually fatuous slogans like "occupation" and "the Lebanon quagmire" and "peace," which all serve to block inquiry, are ploughing on. Rejecting the growing accusation that their push to force Israel to surrender South Lebanon to Hizbullah six years ago and surrender Gaza to Hamas and Fatah last summer is the reason for the current war, they claim they were right all along. LEFTIST NEWSPAPER columnists and television and radio commentators are arguing that the cause of the current war is Israel's refusal, to date, to surrender the Golan Heights to Syria, and Judea, Samaria and east Jerusalem to Fatah and Hamas. In their world the fact that global jihadists are explicit about their intention to destroy "the Zionist entity," whatever its territorial boundaries may be, is studiously denied. The fact that Palestinian society is a jihadist society and that the international Left increasingly rejects Israel's very right to exist remains either irrelevant, or a matter that can be appeased away by further territorial giveaways. Additionally, leftist opinion-makers are now arguing that the main lesson of the war is that unilateral Israeli actions are the problem. Writing in Ma'ariv last Thursday, Nadav Eyal argued that the next step will be to use the multinational force that the UN, the Olmert government and the State Department wish to deploy to Lebanon as a model that will enable future Israeli withdrawals from Judea and Samaria (and presumably from the Golan Heights and Jerusalem). By this new logic we should continue to retreat, but next time, the French and the Turks will protect us. Many international commentators who understand what a Hizbullah victory will mean for international security rightly argue that the international community today is repeating the mistakes of the 1930s, when it refused to contend with the growing dangers emanating from Nazi Germany and Imperial Japan. s the winter of 1973. Then, in the aftermath of the Yom Kippur War, as Golda Meir and Moshe Dayan sought to place all the blame for Israel's refusal to prepare for Egypt's October 6 invasion, in spite of obvious signs that it was about to take place, on the IDF, demobilized IDF reservists, led by Captain (res.) Moti Ashkenazi, launched a national protest movement. Their demand for accountability forced Meir and Dayan to resign and set the conditions for the Likud's rise to power in 1977. 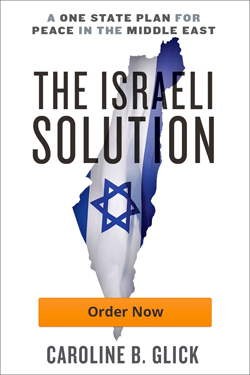 THERE IS a palpable sense in Israel that we are on the edge of a revolutionary moment. Our national leadership in the government, the IDF and the media has utterly failed us. As we stand poised on the edge of an even larger war, the main question that hangs in the balance is what lessons the Israeli people will take from the current fiasco. Will we continue to believe their fictions, or will we find a way to abandon them and move on with leaders who understand that territory is vital, that the jihad is real, that Israel has a right to defensible borders, and that Israel is not to blame for our enemies' hatred?